Jeppesen and Bad Elf have teamed up to bring the convenience of wireless avionics database updates. With Jeppesen Distribution Manager (JDM) Mobile for iOS in conjunction with Bad Elf Wombat units, you can now wirelessly download your databases to your iPhone/iPad anywhere you have connectivity and transfer the databases to the avionics cards from the convenience of the cockpit. Jeppesen is once again proud to attend the AVIEUR Fly-In at Eisenach-Kindel (EDGE). Please join us on 15 September 2018 for informative presentations, product demos and more. Get one full coverage and save 15% compared to the single coverages. Please contact us to learn more: +49 6102 50 70 or fra-services@jeppesen.com. We like to support flying clubs! That is why we are offering a free two-month trial to Mobile FliteDeck VFR – the only app designed strictly for VFR pilots. There is no individual registration needed. Just send an email to fra-services@jeppesen.com and mention the keywords “Flying Club trial” in the subject line. Please also let us know the contact person at your club and the estimated number of interested pilots. 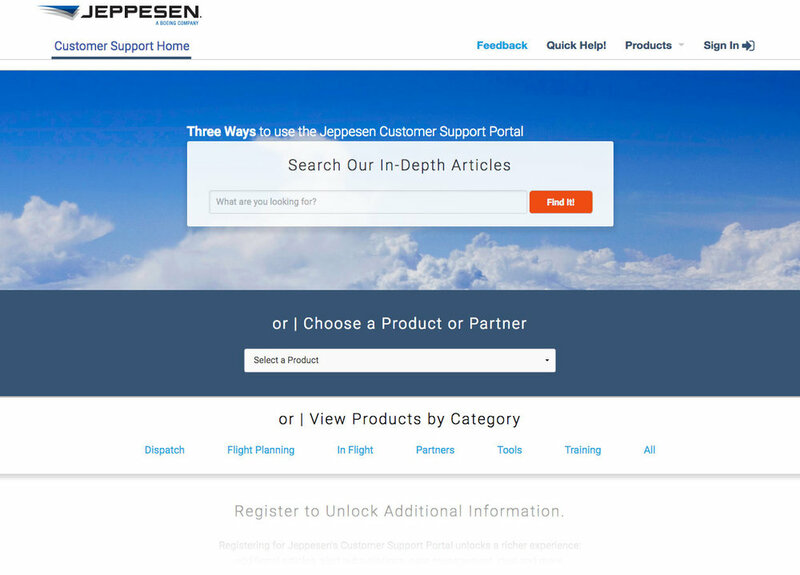 In addition to our 24x7 technical support teams, we have many online resources if you need help with Jeppesen products/services. For example, as a JDM (Jeppesen Distribution Manager) user, you might find it helpful to better understand your subscriptions, update counts, cycle dates and overlap periods, the update schedule and how to download data and transfer to devices, etc. Or find step-by-step instructions for using the Garmin Flight Stream 510 to do wireless database transfers for your Jeppesen services. You can also search topics by keywords, like Flight Stream 510 or FS 510. Jeppesen and ForeFlight are excited to announce the availability of ForeFlight Mobile for the European market. ForeFlight Mobile is the most widely used integrated application for planning, flying and logging flights. Now all ForeFlight Mobile subscription plans for Europe include Jeppesen’s best-in-class digital VFR and IFR navigation data, which are dynamically rendered directly on ForeFlight’s data-driven aeronautical map. Additionally, Jeppesen’s high-quality, standardized library of European VFR and IFR electronic charts can be linked in ForeFlight Mobile and seamlessly accessed to support all phases of flight. If you are a current subscriber to a JeppView or JeppView MFD IFR and/or VFR coverage, you can easily use one of your four installations to test the ForeFlight Mobile app. Learn more about the powerful capabilities of ForeFlight Mobile combined with Jeppesen’s world-class aeronautical data. Give us your ideas and feedback about the Jeppesen General Aviation Newsletter, and we will enter you to win a “thank you” gift! 1. Does the title, Jeppesen General Aviation Newsletter, catch your attention? Is there a better title that would stand out more in your email inbox? 2. What topics are of interest to you? Are there specific topics we should focus more on? 3. All other feedback and ideas are welcome! Please email us your feedback by 30 September and we will have a drawing for three “thank you” gifts. Stop by for demos, customer service and great show specials. Mobile FliteDeck VFR is the only app designed strictly for VFR pilots, and now it includes several new features and countries. Jeppesen will be attending several fly-ins and aviation events throughout Europe in the coming months. Download your very own copy of the catalogue today! Powerful partnership brings the convenience of wireless avionics database updates. Bose, Jeppesen, Garmin are holding our pre-season fly-in to AVIEUR at Eisenach-Kindel (EDGE) in Germany on 24 March. And there is still time to register! Doors open at 10.00 and presentations start at 11.00. We will present the following topics – all in German! Like last year, there is no entrance fee and free car parking. The landing fees for all planes flying into the event will be covered by Bose, Jeppesen, Garmin. We will provide coffee to start and to end the day and at midday some finger food will be offered. We will have a tombola, where you can win a consumer headset (Bose), a yearly subscription - new or renewal (Jeppesen) or a nice camera (Garmin). Douwe-Jan de Boer is bringing his Sukhoi SU 26 Simulator, where you can fly and test Bose, Jeppesen, Garmin products in a realistic environment. During the whole event SkyFox will have his shop at the premises open and will be available for advice and also for purchases. In 2017, we participated in more than 60 events throughout Europe, Africa and the Middle East. We hope to see you at an upcoming event in 2018. Aviation technicians are in high demand and this trend is forecast to continue. Train with the best to reach your goals. The Boeing EASA Part 66 Training System is a complete technician education program combining theoretical content with meaningful questions to maximize study success. Materials are available as print on-demand or as an interactive electronic download which includes an extensive and regularly updated question database for technician studies. Organized into 17 modules using photorealistic graphics, animations and short audio and video clips, it provides for a hands-on and illustrative study.